There are a lot of people who have had a credit card in the past and only landed up deep in debt which took years to pay off and there are people who are too scared to apply for a credit card in case they land up in debt and lose everything. There are even more people who will advise you NOT to get a credit card, yet these people are ignoring the fact that for a lot of milestone purchases you need a good credit record and a credit card which is managed correctly helps to get you a good credit record. Here are 8 tips on how to manage your credit card correctly. With the implementation of these tips you can easily improve your credit score rating and put yourself in a good financial standing. Rewards Card – Find a credit card that gives you rewards for regular purchases that you would make anyway such as groceries and petrol. Replace Cash with Plastic – Use your credit card for items that you would normally use cash for, not special purchases that seem like you have to have them immediately unless it is an emergency. DO NOT purchase anything that you cannot afford immediately with your credit card. Pay the card – Anything you spend on the card should be paid off, in the case of an emergency pay the minimum balance PLUS extra, if its regular purchases then pay the full balance off or at least 80% of it. Many people recommend paying the full balance off in full on a monthly basis, while others recommend paying everything except $10, it is believed that the latter increases your credit score quicker. The choice is personal; to stay out of debt, pay it off in full. Whichever method of repayment you chose make sure that you are paying at least 80 – 90% of the balance off on a monthly basis, no less, else you will land up in a deep pit of credit card debt. Consider your Plastic as Cash – let’s use a simple example to indicate the simplicity of keeping yourself out of debt with a credit card used on regular purchases. You spend $500 on petrol and groceries each month, this is in your budget so you either withdraw the cash and pay cash for everything or you swipe your debit card. Now if you had to leave that $500 in your cheque account and swipe your credit card, at the end of the month you transfer the money from your cheque account to your credit card AND you earn the points for swiping your card. Security vs. Debt – A lot of people understand the security features of a credit card, but are scared that they will fall into the pit of debt because they have a card. If you use your card as described, and leave your cheque card at home in a safe place, when something bad happens you are NOT in debt, because the bank will reverse all the charges quickly. If something bad happens with your cheque card it takes a lot longer for the bank to resolve the issue and in the meantime you have NO money to buy ANYTHING. Responsibility – Although it is easy to swipe the credit card, if you are working towards improving your credit score and getting debt free you have to be RUTHLESS in the choices you make. Take responsibility for your actions and acknowledge that the credit card is your cash and not a loan or gift that you can waste. 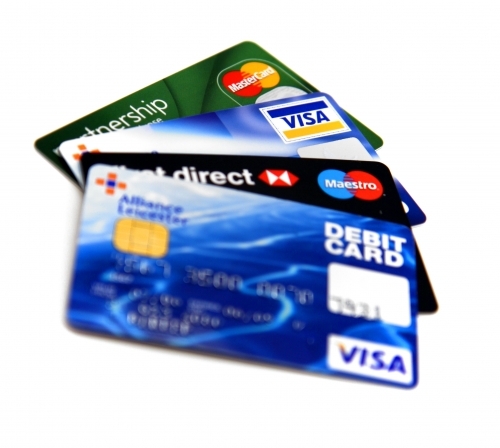 Internet Transactions – Although a credit card is the safer option to use on the internet do not look at your credit card as a way to do internet shopping without consequence. If you would normally go to your local bookstore and buy a few books as a reward for being on budget for 3 months, then you can splurge on that book sale on Amazon, but if you only wanting to splurge because you have the credit card and the available balance you have to discipline yourself to NOT make purchases ‘just because’. Emergencies – Again it is all about discipline, emergencies are not when your partner walked out and you had to binge on 3 new outfits and a luxury lunch at the most expensive restaurant at the mall. An emergency is when your granny dies and you need to go home to go to the funeral or when your house burns down and you need to buy a suit to get to work tomorrow. The most important thing to remember is to PAY THE BALANCE monthly, in the case of an emergency make sure that you pay the balance off within 6 months and NEVER only pay the minimum balance due on the card. Credit cards are not evil; it just takes discipline and good management skills to use them effectively.